A product so fantastic we can barely keep it on the shelf! 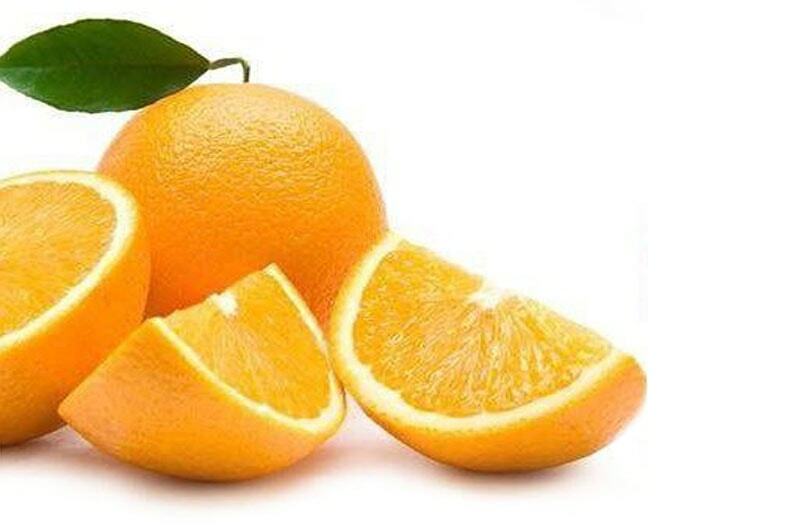 Why is Vitamin C important? Find out here. 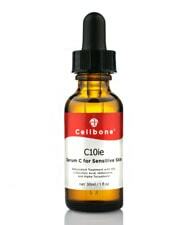 Our Gold Coast skin clinic stocks the exclusive Cellbone Vitamin C serum range and our clients give it rave reviews. Very few skin clinics stock this fantastic range and it can only be purchased in store on the Gold Coast. 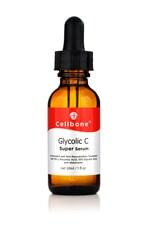 Designed with more sensitive or younger and less damaged skin in mind, C10ie Serum C from Cellbone Technology offers the age defying benefits of vitamin C in a cosmeceutical form. Cosmeceuticals penetrate deeper into the skin to be more effective than cosmetics purchased over the counter. As a serum, this product penetrates the cell layer to offer hydrating benefits and won’t wash off whilst smoothing fine lines, correcting hyper-pigmentation and offering UV protection. To get the best results for your skin type it is important you are using the correct percentage of Ascorbic acid, so this product is only available for purchase in store. Perfect for more damaged skin, this C20ie serum is more concentrated at 20% Ascorbic acid to provide the same age defying benefits for skin with deeper lines and more free radical damage than younger skin. It is important that someone experienced in cosmeceuticals selects the strength of serum that you require to offer you the best results for your skin, so you will need to visit your skin care clinic for a skin assessment. An oil free antioxidant serum that consists of 10% Glycolic acid and 15% L-Ascorbic acid, Glycolic C Super serum prevents premature signs of ageing, stimulates skin cell renewal and promotes a fresh, clear and younger looking complexion with the addition of Glycolic acid as a highly effective exfoliant. As with all of the Cellbone Technology cosmeceuticals it is quickly absorbed into the skin so that it can’t be washed away. 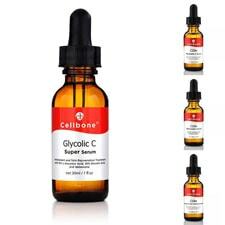 Without a doubt, Vitamin C should be a part of your daily skin care routine and the fantastic Cellbone Technology Vitamin C range available in-store at Cosmedispa is the best choice on the market today!